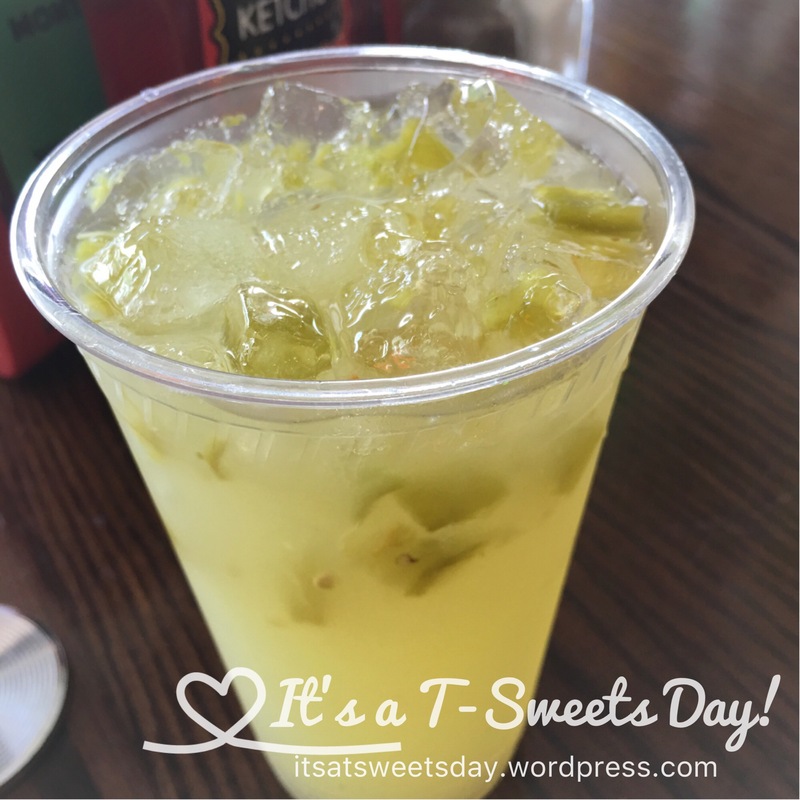 Destination Dining – Sparky’s – It's a T-Sweets day! 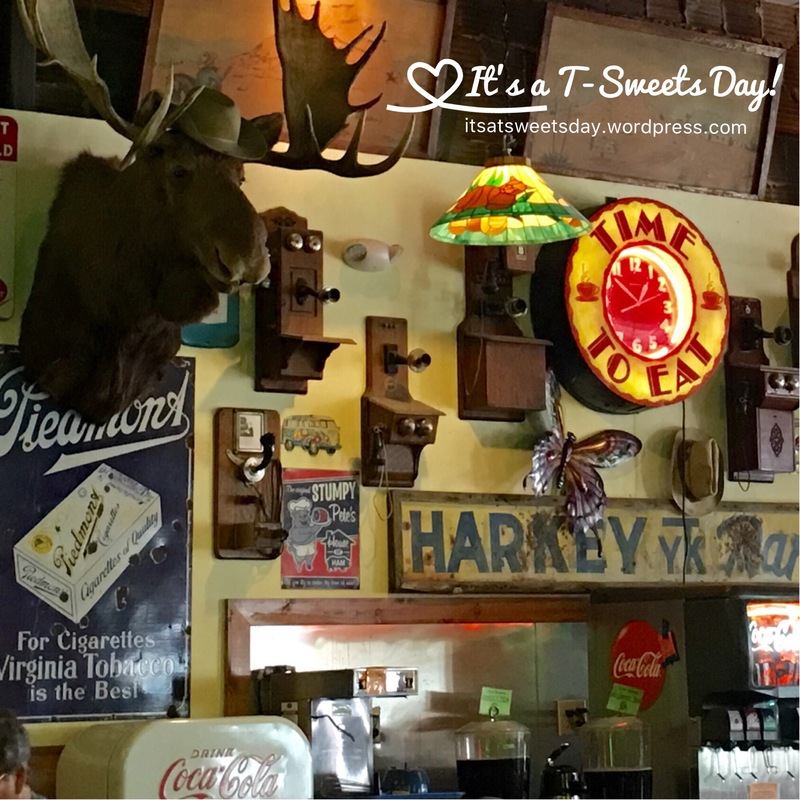 Published on September 9, 2016 September 9, 2016 by Tracy @ It's a T-Sweets Day! 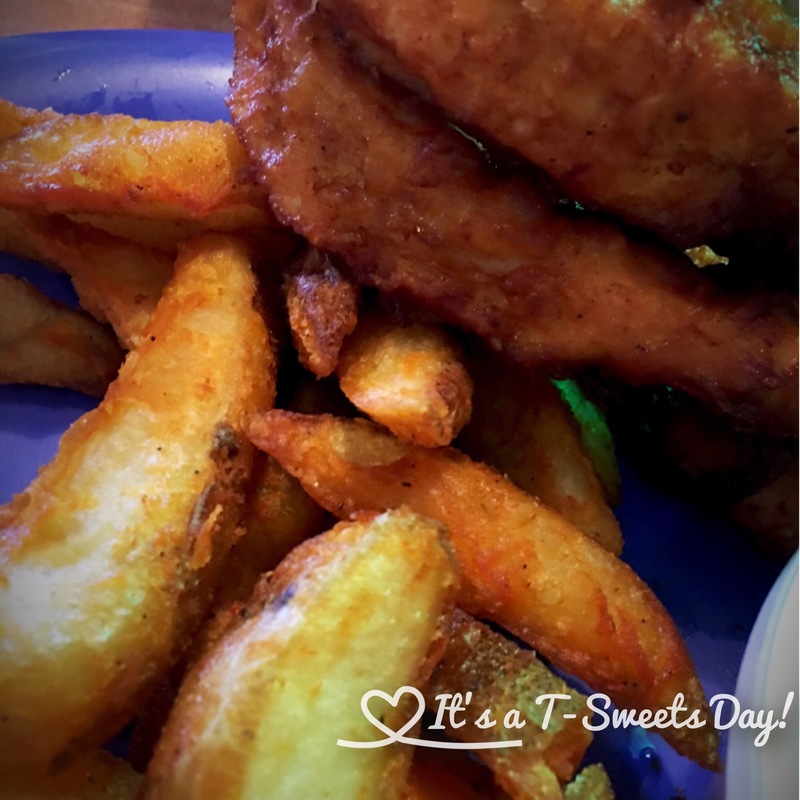 Today was the second year in a row that my sister in law, Michelle, and I drove three hours each way to get a hamburger and chicken tenders at Sparky’s in Hatch New Mexico. Hatch is all by itself in the middle of nowhere. There is really nothing there except green chiles and Sparkys. 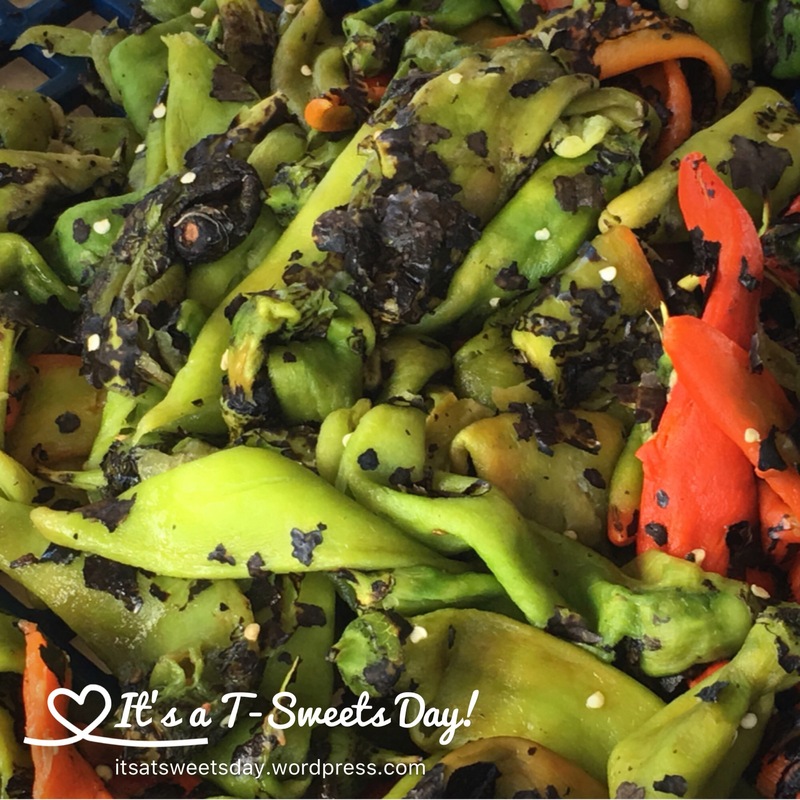 It is the green chile Capitol of the world. 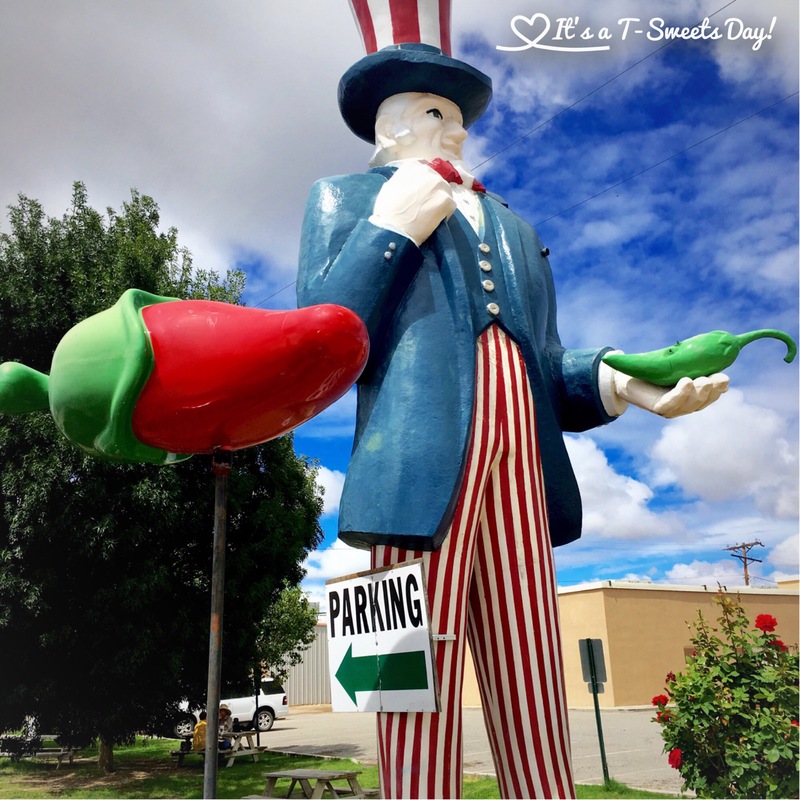 But even though there is nothing there, people come from all over and wait for Sparkys world famous green chile hamburgers. They are a good day’s drive! It’s hard to describe why this hamburger is different than all other hamburgers, but I will try. It’s not that it is the most beautiful burger ever put on a plate, it is just the most flavorful. The meat shines with perfect seasoning. 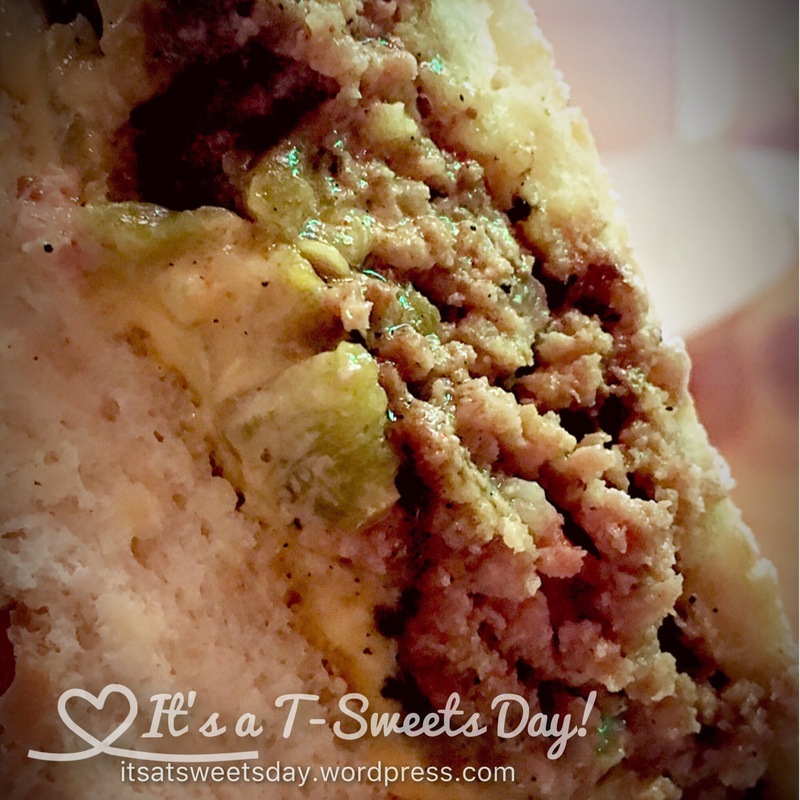 It is moist with flavor that explodes in your mouth. 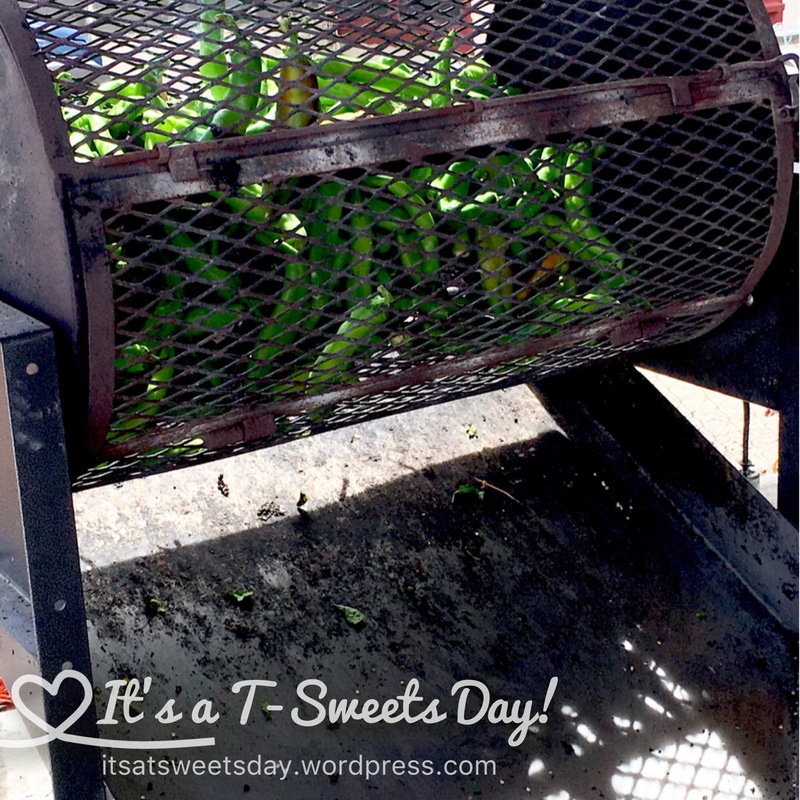 The green chiles are mild, yet give just the perfect amount of heat. If you are ever even a little bit close to Hatch, it is worth the detour! Also a delight are the homemade, beer battered fries and chicken tenders. So good! And of course we had to buy some roasted chiles while we were there. Luckily Michelle’s birthday is right in the middle of chile season:). 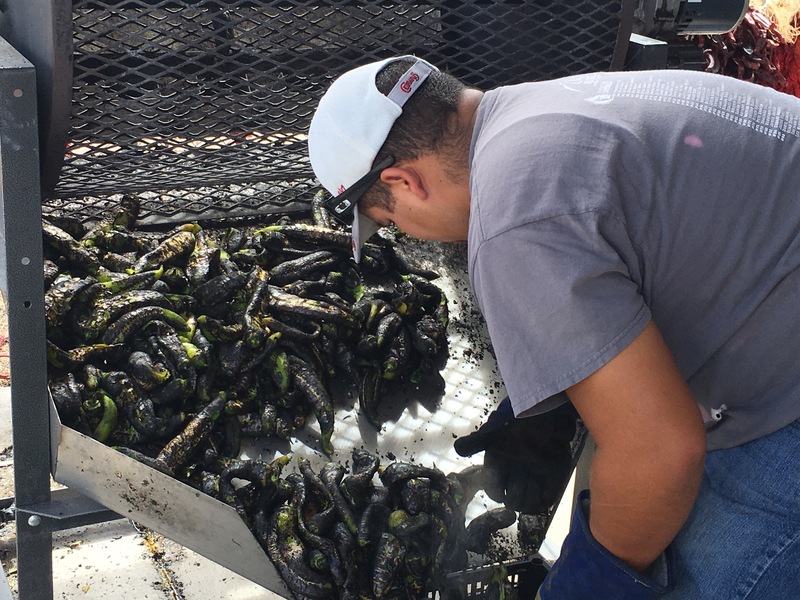 They place the chiles in a roaster and let them sizzle and pop until the skins are all black. Then they spray them with a pressure wash to remove the skins. They come out so green and pretty. And the smell is SWEET!! As you can tell, I really had a great, foodie day today. 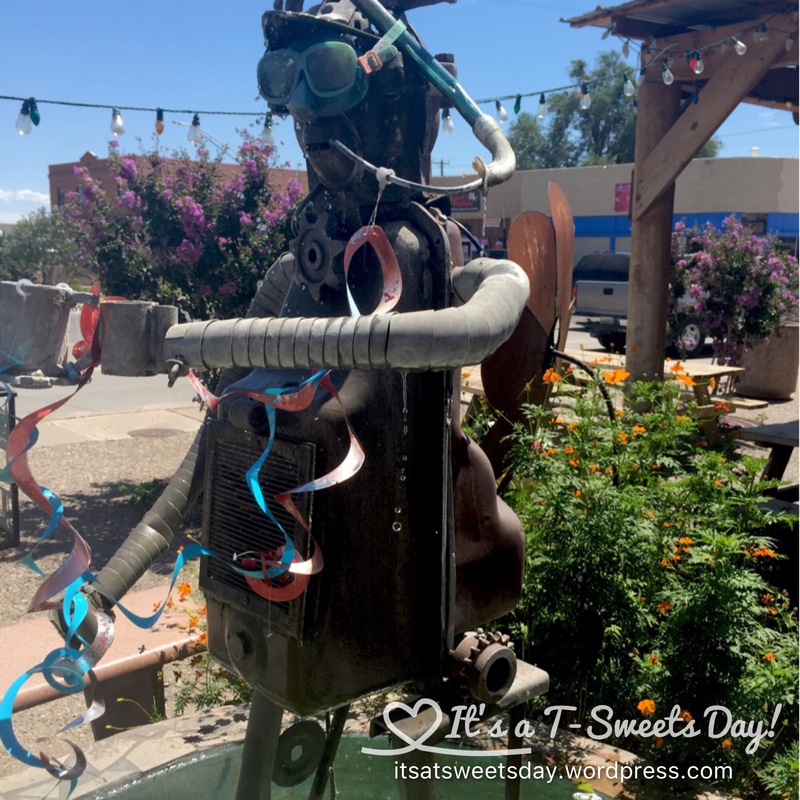 A birthday road trip for a Dining Destination. Life doesn’t get much better than this:)! Next A Car Quilt Set for the Birthday Boy! Hatch’s are the best ever! Someday I think we’ll have to visit Sparky’s, it sounds great!